Royal Opera House Exhibitions Manager Cristina Franchi will give a free lecture tonight about Ninette de Valois, founder of The Royal Ballet. Dame Ninette, who lived to be 102, is widely considered to be one of the most influential figures in the history of ballet. Cristina will be telling the remarkable story of how a young dancer who started her career impersonating Anna Pavlova on seaside pier theatres went on to dance professionally with Diaghilev's Ballets Russes and establish The Royal Ballet company. 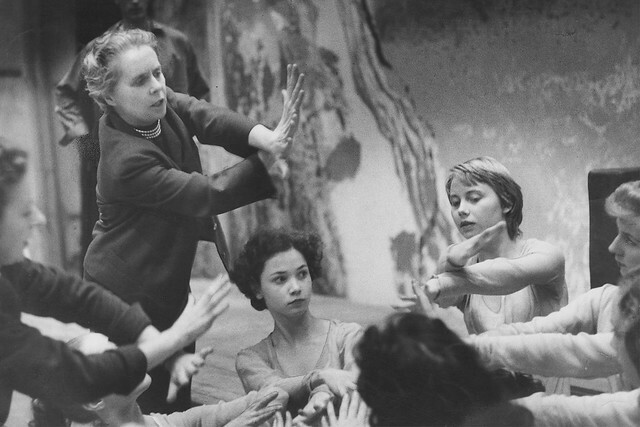 Cristina recently curated an exhibition at the Royal Opera House about Ninette de Valois and her legacy in the ballet world. Tonight's lecture is one of a series entitled Irish Achievers in British History that profiles eminent Irish people who have had a significant impact on British politics, literature and the arts. Polar explorer Sir Ernest Shackleton and playwright Sean O'Casey are profiled in the same series. The lecture is at 7.30pm at the Irish Cultural Centre Hammersmith in London. Royal Opera House Exhibitions are curated by the Royal Opera House Collections Department.